Days Gone is one of 2017’s most eagerly-anticipated games, and with good reason. This is because not only Bend Studio’s game looks terrific judging by the trailers and gameplay videos we have seen so far, but it’s also thematically similar to 2013’s wonderful The Last of Us, being set in the zombie apocalypse and having the same kind of gruff and cynical protagonist as Naughty Dog’s game. And the gameplay video below (which was originally shown behind closed doors at this year’s E3) shows the role weather will play in the game in Bend Studio’s upcoming game. 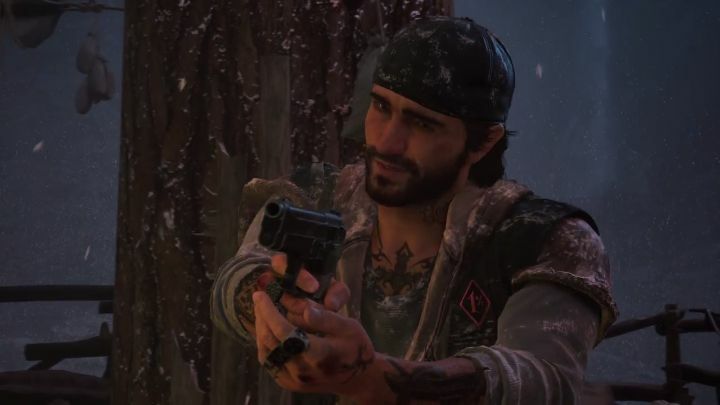 Actually, the weather in Days Gone will have an effect on everything ranging from how protagonist Deacon St. John’s bike handles in the game, to how many Freakers (the game’s version of zombies) you can expect to find roaming Day Gone’s world. The video shows that Freakers will be far less common during the day in Day Gone’s world, meaning that unlike in an earlier gameplay video released at this year’s E3, protagonist Deacon won’t be taking over the enemy camp seen in this video by luring a horde of Freakers to it. Rather, Deacon takes a position nearby and resorts to his trusty sniper rifle and other weapons to dispatch the Marauders (human enemies who roam Days Gone world) from afar. Days Gone also looks terrific in this new gameplay video, with the snowy weather looking superb and suggesting this will be one of the most graphically stunning games which will be hitting the PS4 later this year. So hopefully its gameplay will be just as great, and this actually lives up to other PlayStation zombie classics when it’s released at a future date. Note: Days Gone will be released in December 2017 (TBC). Available on PS4.